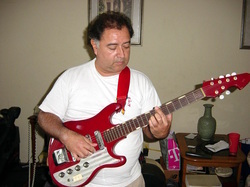 I bought this bass when I was about 13 years old, back in 1966. I bought the bass and a hard shell case and the bass amp head and bass amp all for $100.00! The actual factory where this handmade bass was made was across the street from where I lived and 2 blocks over. I think the employee who sold it to me was a heroin addict but at the time I didn't know it. I now know why his nose was running so much and he was sniffing so much. As a kid I just thought he had a bad allergy. Since my Ibanez bass was stolen I reverted back to my vintage MICA bass. 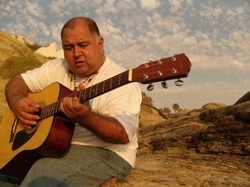 Me and my Takamine circa 2000 - 2002 ? Back in 1974 I bought this Takamine Acoustic guitar from a friend (Tom) who heard that my newly bought Yamaha acoustic guitar was stolen from my car only 3 months after I had bought it. He knew I was using my guitar for the children's music ministry at First Fundamental Bible Church in East Los Angeles (aka The Holy land). After 35 years later Tom said, "By the way, that acoustic guitar I sold you use to belong to the 70's group "Bread". NOT FOR SALE, stays with me. I've had this one for several years also but don't know the maker, there is nothing written on it, in front or on back but it does have a serial number. Note the head, 4 pegs on one side and 2 on the other, that is usual. Anybody have any info on this guitar please let me know. It's probably about 40-50 years old, yeah, an oldie but goodie! Still plays very good, all the original pick-ups, all work and all the original knobs. I used it when I was playing in a worship team. 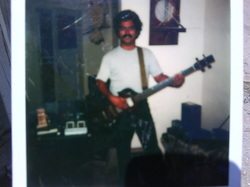 This was my Ibanez bass, it was stolen 9 months after I bought it.. Anybody see one like this please let me know. It has a serial number and there is a police report on file. Click on the picture to see a full size picture with details and further information. 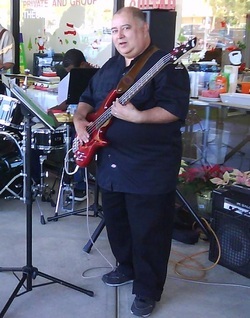 This was the red Ibanez that I was playing with the City of Pomona Youth Orchestra. It, too, was stolen from the storage located at Philadelphia Elementary School in Pomona. 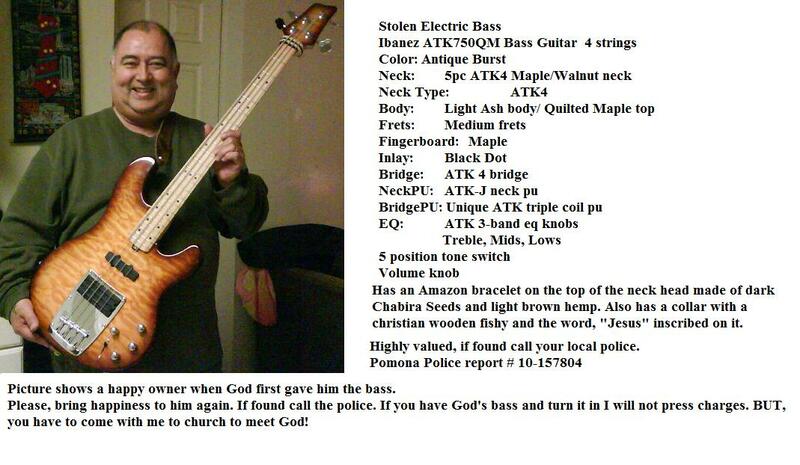 If you see it call Pomona Police. ​just to start a musical or biblical conversation.